After the much lauded Bol, the pretty actress will star opposite the serial kisser in Shaatir. Well, it’s not Vidya Balan, nor is it any actress from Bollywood that Emraan Hasmi has worked with in the past who has been chosen as his co-star in his new film, Shaatir. The serial kisser, as he is known in B-town, will soon be sharing screen-space with Pakistani highly paid actress Humaima Malick, who was seen in the hugely acclaimed Urdu film Bol opposite Atif Aslam. 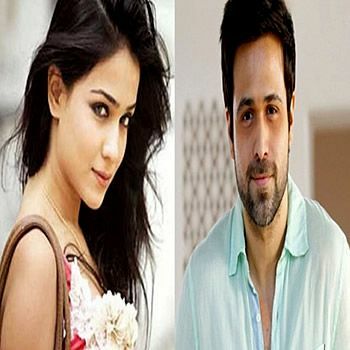 And for those of you who are wondering if Kunal Deshmukh’s latest starring Emraan will be the actress’ debut in B-town, let us tell you that Humaima has forayed into Bollywood already with Soham Shah’s Sher featuring Sanjay Dutt. She will also be seen opposite Sharman Joshi in Vidhu Vinod Chopra’s next and she is the first Pakistani actress who is acting in A list Bollywood movie.